I love lavender. The fragrance, color and feel of the dried leaves between my fingers; the polar opposite to sweaty stinky gym shoes. This is where the inspiration for this lavender tutorial began. I work close to a wonderful little trail and frequently walk on my lunch break. I began to notice the walking shoes I keep under my desk were not as odor free as I would have liked (happens to everyone, right???). 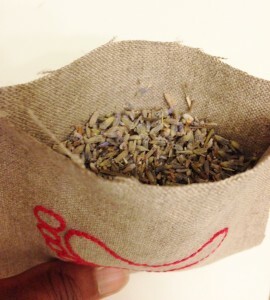 I ordered this 1 pound bag of lavender and came up with these cute little lavender sachets to put into my shoes to keep them fresh smelling. 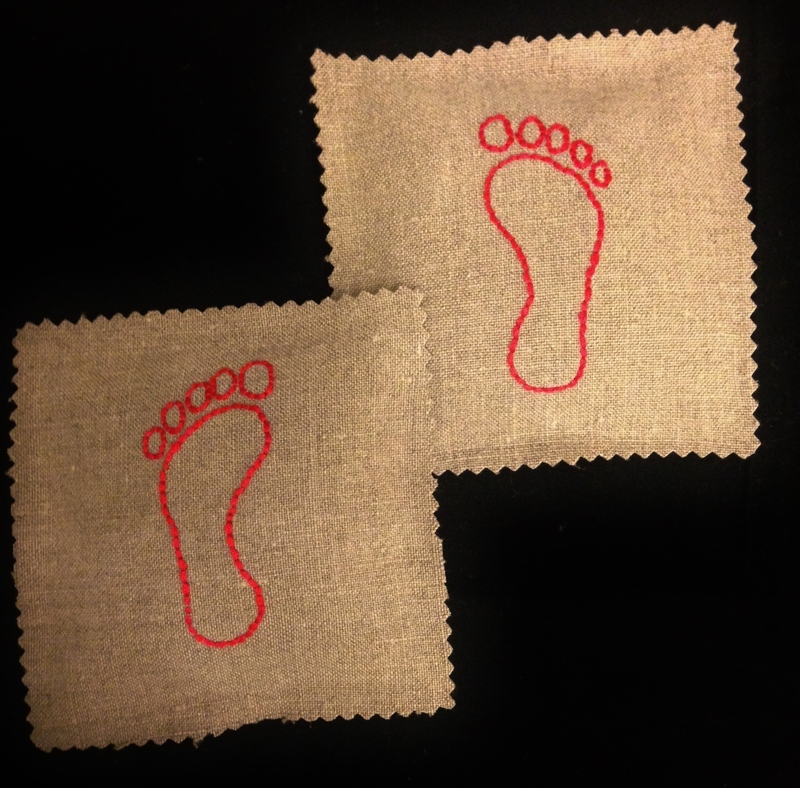 They are quick and easy and can be made with or without an embroidery design. This is my first tutorial – so please feel free to email me if you have any questions on the instructions. 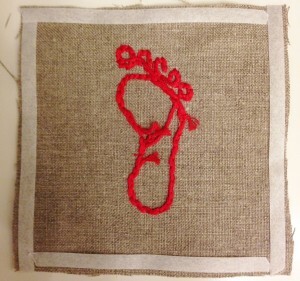 > Embroider using the back stitch. 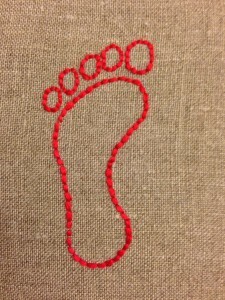 For a great tutorial on embroidery stitches click here or for a tutorial on how to use transfer paper go here. > Cut a 4 inch square around each foot. 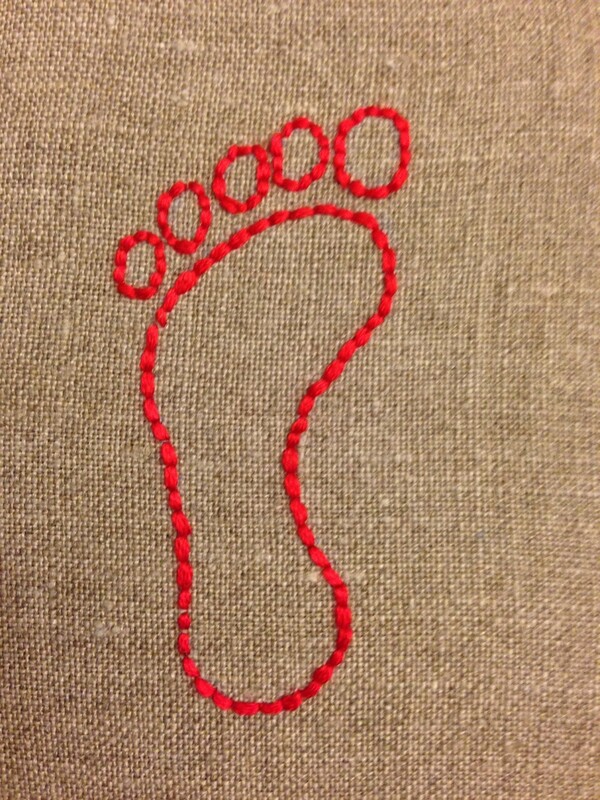 You can do this step before you embroider if you have a small enough hoop. > Cut two 4- inch squares for the back of the fabric. 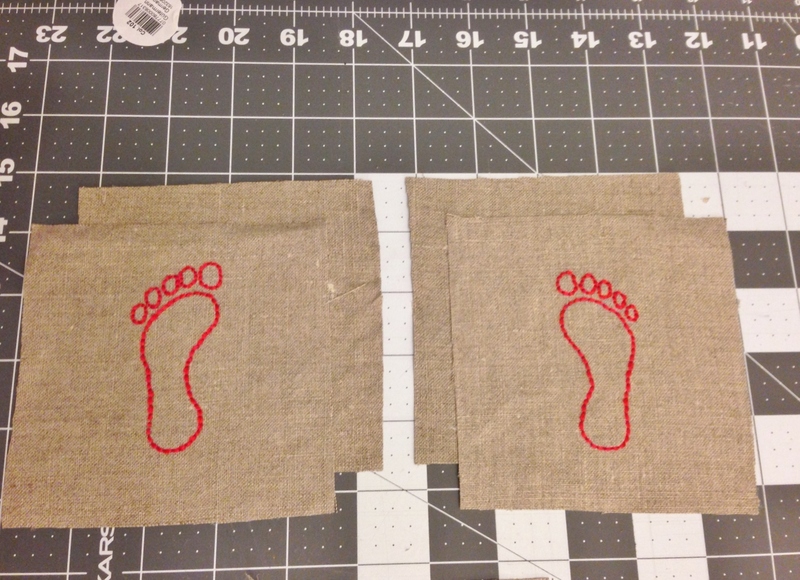 > Attach 1/4 inch Steam-A-Seam Lite double stick fusible web to the wrong side of the fabric on all four sides. Leave 1/8 of an inch of fabric on the edge. You will pink the edges later. I found mine at Amazon here. > Iron slightly to adhere to fabric and peel off paper on 3 sides only. You need to leave one side on until you fill the lavender sachet. > Place back fabric wrong side down and iron according to directions to seal the sides together. > Take off remaining Steam-A-Seam tape and carefully iron final seam closed. 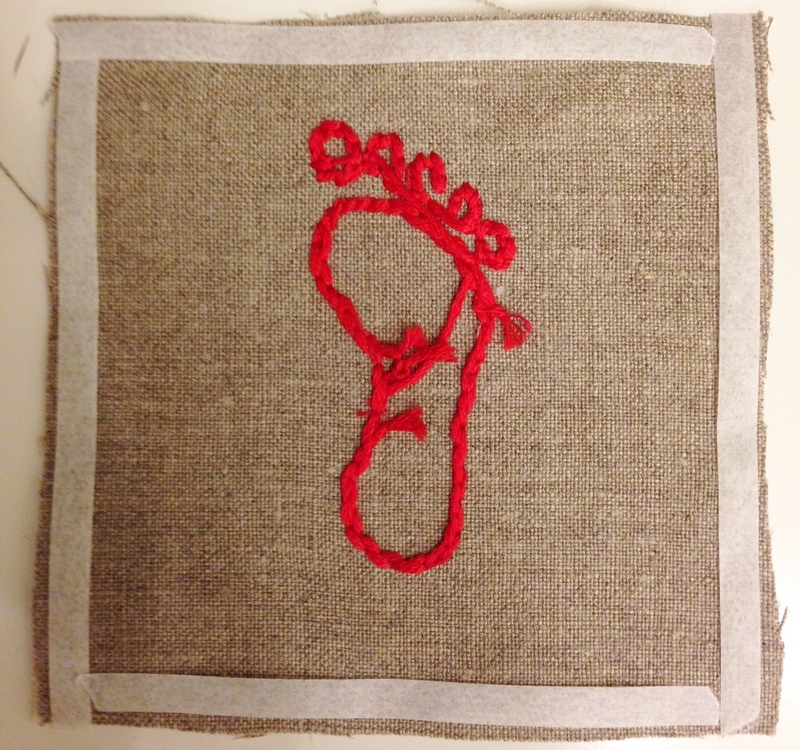 > Use your pinking shears to cut around all sides OR you can also embroider a blanket stitch around all 4 sides. 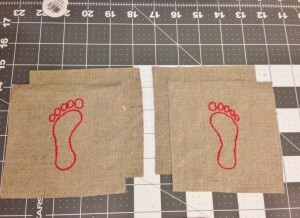 You can use your sewing machine to sew the lavender sachet sides. Sew around (right sides together) leaving 2-3 inches to turn and fill the sachet. Next, seal using the Steam-A-Seam or hand sew close. 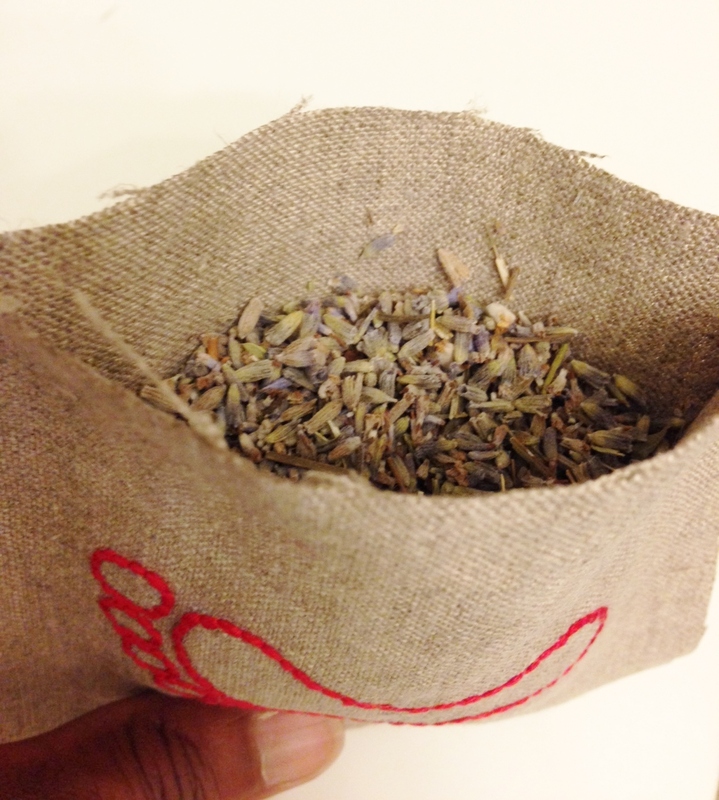 Place your lavender sachet anywhere you need some freshness.